From the ‘Shake Heaven’ CD, Montell Jordan featuring Chris August release NEW VIDEO for ‘You Are’!!! DVD Features Guest Dove Award Winning Performers: Israel Houghton, Chris August, Martha Munizzi, Rachael Lampa, Ricardo Sanchez. This DVD is AMAZING!!! Montell Jordan And Victory World Music Release 2-Disc Shake Heaven Project With Powerful Live Performance DVD. DVD Features Guest Dove Award Winning Performers: Israel Houghton, Chris August, Martha Munizzi, Rachael Lampa, Ricardo Sanchez. Atlanta, GA —- The album Shake Heaven has been generating strong response from fans, radio and press, and now Victory World Music will release a 2-disc version on December 11, 2012 that includes a powerful live performance DVD. The taping of the DVD took place at Victory World Church in Norcross, GA and features Dove award winning guest performers, Israel Houghton, Chris August, Martha Munizzi, Rachael Lampa and Ricardo Sanchez. The video version features 3 new additional songs that include Moving Forward which is performed by Montell Jordan, Israel Houghton and Ricardo Sanchez. The performances give viewers a front row seat to one of the most incredible worship experiences. Early response to the 2-disc Shake Heaven has been supportive with Lucid Artist garnering exclusive retail distribution with all Family Christian Stores, while the project will also be available at iTunes.com and all digital music outlets. Shake Heaven will become available at all retail outlets in the first quarter of 2013. 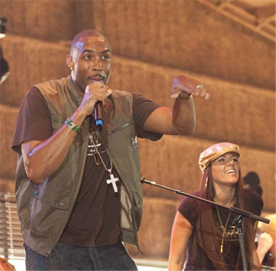 For more information on Montell Jordan, and Victory World Music please visit online at www.victoryworldmusic.com. Information on Victory World Church can be found at www.victoryatl.com. Music is a calling and worship is a lifestyle. At that intersection of talent and passion, you’ll find Victory World Music (VWM), an eclectic blend of musicians of all cultures, styles and ages. 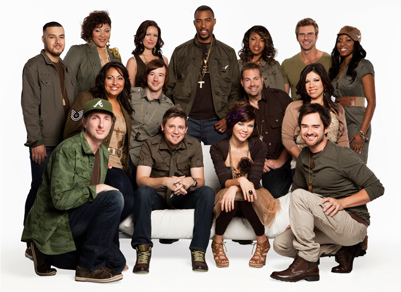 Self defined ‘soldiers of Christ,’ this group of artists is emerging with a new sound of praise & worship. Marching forward with their debut album release, Shake Heaven, their quest is to ‘take back the music’ for Christ. 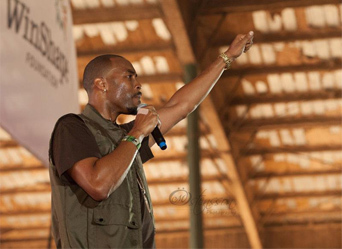 As Victory World Church introduces their powerful worship team to the world, at the forefront of the church’s ministry is Montell Jordan. Most of the world knows Jordan as the smooth-voiced singer responsible for such mainstream R&B hits as, “This is How We Do It” and “Let’s Ride,” but to fellow believers at Victory World Church in Norcross, GA, Jordan is a man who uses music as a vehicle to transport people into the presence of God. The title track and new single, Shake Heaven is an ear-grabbing wall of sound punctuated by soulful vocals that capture the latest chapter in his musical and spiritual evolution. That relationship with the Father provided a strong foundation as Jordan moved forward. He graduated from Pepperdine University and though he considered law school his love of music prevailed. He signed a deal with Def Jam Records and soon became one of the industry’s hottest young R&B singers. His vast experience in the mainstream music world now enables him to serve God more effectively in his music ministry at Victory World Church. The title track and first single, Shake Heaven, features Jordan’s friend, Beckah Shae. “She’s a ball of fire,” he says. 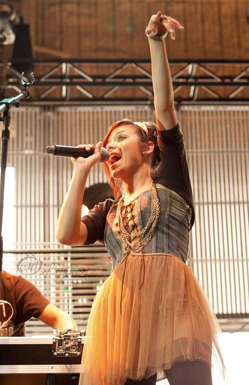 “She’s an incredible vocalist and she’s a worshiper. There’s no question about it. She inspires me.” The album will also feature songs written by other members of the worship team and a couple of songs written by teenagers of the church. “We have some incredible artists at the church including some young writers and performers who will surprise the world. There are three 15 and16 year-old young ladies featured on the album as writers and performers who are amazingly gifted.” Jordan says. Another highlight on the project is “These Hands.” “We did that song on Easter. It’s from the perspective of God’s hands talking about the things He has done for us,” Jordan says of the powerful track.